Weekend Historical Happenings: 10/5/13 - 10/6/13 ~ The History Girl! The Washington Township Historical Society's 30th annual historic house tour, "Autumn in Long Valley," will be held on Saturday from 11:00 am - 4:00 pm. Six historic homes and sites will open their doors to visitors. 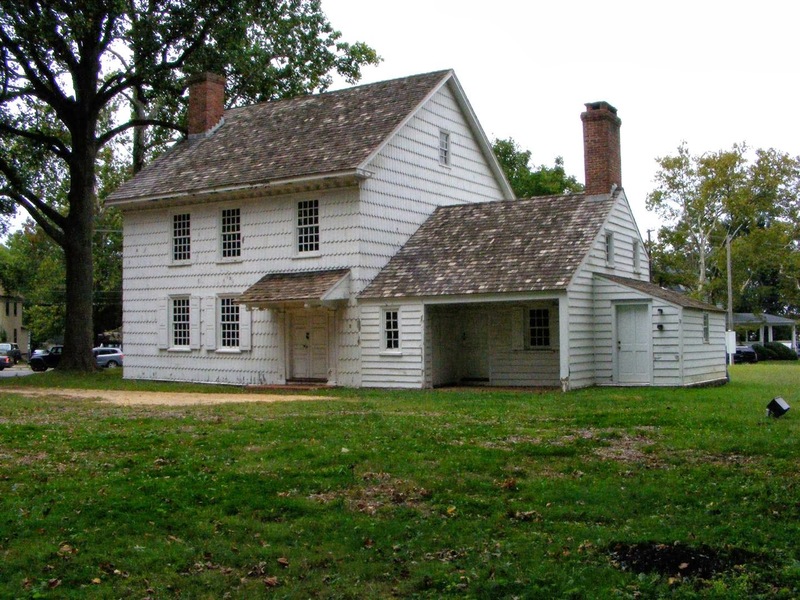 In honor of the 275th Anniversary of the settlement of Washington Township the annual house tour will be a walking tour which showcases homes in the old German Valley area. Included with each ticket is a book that tells the history of each house with photographs. Guides, some in costume, will be stationed in the houses to explain the history and points of interest. An optional luncheon, not included in the cost of the ticket, will be available at the Zion Lutheran Church located at 11 Schooleys Mountain Road. The Historical Society will display local historic artifacts at the luncheon. The Washington Township Historical Society Museum, located at 6 Fairview Avenue in the center of Long Valley, will be open all day and will have items suitable for Christmas gifts available for sale in the gift shop. As is the tradition, delicious home baked refreshments may be enjoyed in the museum at no charge. Tickets are $20 each and may be purchased in the Museum on Friday, October 4 from 10:00 am - 5:00 pm or on the day of the event, beginning at 10:00 am. For more information, call 908-876-9696 or visit www.wthsnj.org. The Monmouth County Historical Association invites the public to enjoy Open Hearth Cooking Demonstrations at Covenhoven House on Saturday between 12:00 noon and 4:00 pm. Come and observe eighteenth-century-style cooking over the open hearth and experience colonial life as you tour the house. Visitors will be invited to sample treats made from authentic "receipts" provided by the hearth cook, Glenn May. Specialty dishes for this Open Hearth Open House include mulled cider, stewed apples, parsnip fritters, roast pork on a string with onion marmalade and beer batter bread. Guests will be able to take guided tours of this landmark house built in 1752 for William and Elizabeth Covenhoven. The Covenhoven House later served as headquarters for British General Sir Henry Clinton before the Battle of Monmouth in June of 1778. Admission is free - bring the family! Covenhoven House is located at 150 W. Main Street in Freehold near the Rt. 9 overpass. Parking is available at Grace Lutheran Church at the corner of West Main Street and Business Route 33. For more information, call 732-462-1466 or visit www.monmouthhistory.org. Visitors are welcomed by the Borough of Watchung and the Watchung Historical Committee to the Opening of the Watchung Texier House Museum, from 10:00 am - 4:00 pm with a ribbon cutting ceremony at 10:30 am. Refreshments and craft activities will be available. The Museum portrays many facets of the history of Watchung, including Moldenke’s Elsinore Castle, displays about Watchung sports champions, Congressman Charles A. Eaton, ice cutting on Watchung and Best Lakes, antique farm tools and more. The museum is located at 10 Mountain Boulevard, on the inside of the Watchung circle, opposite the Municipal Building. As part of the opening celebration, the Historical Committee of Watchung is hosting the town’s first Civil War encampment on the Village Green. The Reenactor/Living history organization, the 3rd New Jersey Volunteer infantry, will encamp and portray an 1863 “post Gettysburg” recruiting encampment where “Company A” has returned, tired and depleted, to their native state to recruit, rest and refit. For more information, call 908-432-1388 or visit www.watchungnj.gov. The Cape May County Museum presents, "Remember the Ladies," a special day of programs for women, on Saturday from 11:00 am - 2:00 pm. At 11:00 am, Dorothy Stanaitis, instructor of literature and television and radio hostess, will present "Let's Hear It for the Ladies." We know about Betsy, but what about the other ladies who played a role in the struggle for American independence? Dorothy will take us behind the closed doors of Colonial Philadelphia to meet these outstanding women. Following the morning program, a gourmet lunch will be served in the garden area of the museum. At 1:00 pm, Gordon Bond, author of Hidden History of South Jersey, will present a lecture on some of the little known history of our part of New Jersey, including Harriet Tubman's summers in Cape May. Following his program, Gordon will stay to autograph copies of his book, which will be available for purchase. Please join us for this special day. Reservations are $20 and include lunch. The Cape May County Museum is located at 504 Route 9 North, Cape May Court House, NJ. For more information or to make reservations, please call the museum at 609-465-3535 or visit www.cmcmuseum.org. Attend the Harvest Festival Crafts & Antiques Show at the historic Emlen Physick Estate on Saturday from 10:00 am - 4:00 pm. Enjoy pony rides, pony painting, pumpkin painting, face painting, a bubble pond, hay rides for children ages 3 to 8, and a mummy candles craft project! Plus, the grounds of Cape May's only Victorian house museum become a shopper's paradise as crafters and antique dealers offer their wares. Parking and admission to the grounds are free. A separate ticket is required for the activities. The Emlen Physick Estate is located at 1048 Washington Street, Cape May, NJ. For more information, call 609-884-5404 or 1-800-275-4278 or visit www.capemaymac.org. On Saturday from 4:00 - 7:00 pm, the Trenton Museum Society will host a 40th Anniversary celebratory event that will show appreciation for current TMS members and encourage new membership in support of the Trenton City Museum's exhibits and programs. Trenton Museum Society members are invited to sample foods from local restaurants, both 'old' iconic favorites and 'new' up-and-coming venues. Each participating restaurant will offer a selection from their menu for sampling. Wine and other spirits will also be available. The event is free to all Trenton Museum Society members; however, each member is encouraged to bring along a friend to join in the festivities at the membership rate ($45 per individual and $65 per family), which will include a free membership. In addition to food, beverage and musical entertainment, participants will receive a sneak preview of two new second floor exhibits: Early and Unusual Gifts to the Museum and Their Donors as well as an exhibit of the art and artifacts that have been restored with funds generously donated by TMS members. The event will highlight TMS members and their support over the years. 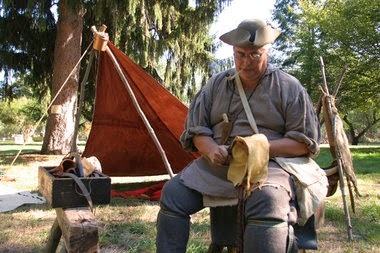 Go back in time with the New Jersey Frontier Guard and learn about life during the French and Indian Wars (1754 - 1765) on Saturday from 11:00 am - 4:00 pm. Stationed on the front lawn of the Museum of Early Trades & Crafts, members of the New Jersey Frontier Guard will recreate and demonstrate the crafts, skills, military activities, and daily life of the mid-eighteenth century New Jersey resident. In addition, visitors are encouraged to explore the Museum and its many exhibits. The event and museum are free on Saturday. On Saturday, attend the Fall Forestry Festival, an annual festival held by the NJ Forest Service's Forest Resource Education Center, featuring over 40 nature themed exhibits, hikes, programs, and activities. Explore the pinelands forest and discover unique plants and creatures on interpreter led hikes. Get crafty and paint a pumpkin or make a wooden Smokey helicopter. Use your detective skills to find the cause of a wildfire. See foresters turn logs into lumber on sawmill and basket makers, chainsaw carvers, and traditional wood carvers demonstrate artistic uses for wood. 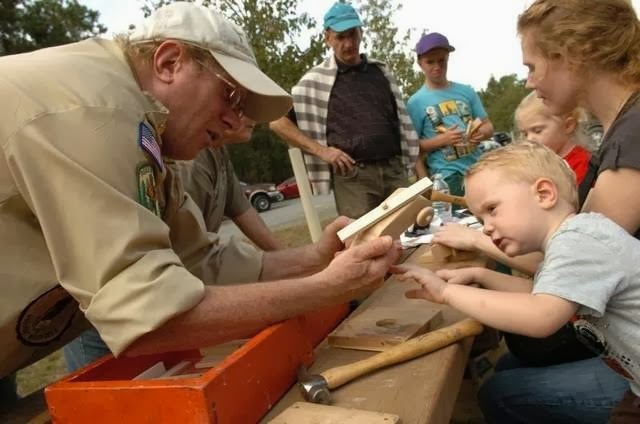 The Fall Forestry Festival combines fun and learning for a enjoyable outing for the whole family. It will be held from 10:00 am - 3:00 pm, rain or shine. There is no admission fee and parking is free. There is no reservation or fee for programs or activities. Wear sturdy hiking shoes and bring insect repellant. Refreshments will be available to purchase. The festival will be held at the Forest Resource Education Center on Don Connor Boulevard in Jackson, NJ. For more information, call 732-928-2360 or visit www.state.nj.us/dep/parksandforests/forest/fall_festival.html. The Westfield Historical Society (WHS) is hosting its fifth annual Apple Fest fundraiser on Saturday from 12:00 noon - 4:00 pm on the lawn of the historic Reeve House, 314 Mountain Avenue, Westfield. The rain date is Sunday, October 6. Visitors to Apple Fest will have an opportunity to participate in docent tours of the Reeve house and grounds, adult and children's games, pumpkin painting, face painting, tin piercing, barbershop music, children's art contest, mum and homemade food sales and much more. One featured event is the spectacular apple pie contest. After the judging by local chefs, the pies and pie slices will be for sale. The public is invited to participate in this community contest. There are new pie categories this year, including one for children and one for men. Members of the DAR will again be helping the effort by making pies for the sale. This year the Apple Café, a 1910-themed café, will be unveiled; you can sit, have lunch, and watch the activities. Quiche and seasonal salad will be featured along with hot dogs for the kids. Grandma Ginny's Trinkets and Treasures sale will be held in conjunction with Apple Fest. Donations from the membership and public have been coming in all summer and there are treasurers for both collectors and decorators. This event will be held on the grounds and in the basement of the Reeve House. The Westfield Historical Society is a non-profit organization dedicated to preserving and sharing Westfield's rich heritage for future generations. The newly renovated Reeve House serves as the organization's headquarters, museum, and history and cultural center. Proceeds from the event will be used to support these efforts and community outreach programs. Membership in the WHS is open to all and a membership table will be open all day for those who would like more information on our activities or would like to join. For further information, call the Westfield Historical Society's office at 908-654-1794 or visit www.westfieldhistoricalsociety.org. A unique fall festival where visitors earn their share of the harvest will take place Saturday and Sunday. The Farm's 29th Annual Fall Festival is reminiscent of a time when giant threshing rigs rumbled through the Mercer countryside stopping at farms to help families thresh their wheat. Visitors to this festival take on the role of “helping neighbors,” joining farmers as they plant, thresh, winnow, and grind wheat. Special maps with corresponding field markers are used to guide visitors to areas where they can watch or help with the harvest before sampling the finished product–freshly baked wheat bread. Visitors who have their maps stamped at each of six “Help-the-Farmer” stations will take home their share of the harvest - a bag of freshly milled whole wheat flour complete with recipe. A highlight of this year's festival will be a threshing operation powered by a 10 ton Case steam engine. Children can help the engineer carry wood and water needed to run the big steamer. In keeping with the festival's theme, “ A Celebration of Wheat,” there will be a whole wheat bake sale, crafts, and wheat straw wagon rides. The Jugtown Mountain String Band will provide live music during the Saturday program. Fall Festival hours are 10:00 am - 4:00 pm on Saturday and 12:00 noon - 4:00 pm on Sunday. Old Bridge Speedway was a track way ahead of it's time. It not only hosted weekly oval track racing, but served as a drag strip, and a road course. Most times in the same week. This weekend, those who were lucky enough to experience this facility in person, and those who wished they had, will gather at the Thomas Warne Museum, located only a few miles from the speedway's original location. Vintage cars, like those that competed at the track before it suddenly closed in August of 1968, will be on display. There will also be race cars that currently compete at tracks like Wall Stadium Speedway and New Egypt Speedway. Additionally, racing movies and historic racing memorabilia will be on display. The show runs from 10:00 am - 4:00 pm, both days, with an adult admission charge of $5. All proceeds of the show benefit the Madison Township Historical Society. For more information, call 732-566-2108 or visit www.thomas-warne-museum.com. On Saturday and Sunday, historic sites, museums, cultural centers, and other attractions all over Passaic County will be participating in History Fair weekend, an annual event highlighting the rich historical and cultural heritage of the area. The fair is your chance to take advantage of free admission at some of the county's most historic places, as well as specially designed exhibits, tours, discussions, and other events. The Passaic County Historical Society has announced that the fair itself will be held on Saturday, October 5. This year the fair will take place at the Passaic County Technical Institute, 45 Reinhardt Road, Wayne, NJ, from 10:00 am to 4:00 pm. This year's list of participants will include the Passaic County Historical Society/Lambert Castle Museum, Paterson Great Falls Historic Park, the American Labor Museum, the Hamilton House Museum, the Paterson Museum, the North Jersey Highlands Historical Society, and the West Milford Museum. There will be presentations from local historians throughout the day, on topics that include the Great Falls, the Paterson Silk Strike, the Pompton Mutiny, and New Jersey’s connection to the underground railroad. A complete list of scheduled presentations and speakers can be viewed here. In addition, several authors on Passaic County history will be at the fair to talk with visitors and sign copies of their books. This is an exciting opportunity for the whole family to learn about Passaic County’s past, and to gather information for future trips to local historic sites. Admission is free, and there is abundant free parking. A full schedule of events, plus links and other information on all the participating organizations, is available at www.passaiccountyhistory.org. See over 125 juried artists from across the country present studio art glass, stained glass, creative jewelry designs, unusual metal sculptures, innovative wearables and accessories, intricate baskets, sculptural and functional clay pieces, woodcarvings and turned vessels, handcrafted furniture, and two-dimensional art and photography at the Festival of Fine Craft on Saturday and Sunday at WheatonArts. The event will be held from 10:00 am - 5:00 pm both days, rain or shine. WheatonArts is located at 1000 Village Dr, Millville, New Jersey 08332. Also see artist demonstrations, participate in family activities, entertainment, food, vendors and a glass pumpkin patch. This year, the hour-long cemetery tour will feature stops at some of Rahway Cemetery’s most famous residents. You will hear stories from over a dozen costumed characters from Rahway’s Past; meet Abraham Clark, a signer of the Declaration of Independence, Captain Walter Bramhall, a Civil War soldier who served at Harper’s Ferry, Va, The Unknown Woman, who’s unsolved murder still sparks theories and interest, and many more! The Friends of Long Pond Ironworks is sponsoring a Civil War Living History Weekend and Candle Lantern Tours this Saturday and Sunday. The site will be open on Saturday from 11:00 am to 5:00 pm and on Sunday from 10:00 am to 3:00 pm. On Saturday there will be Candle Lantern Tours: A family tour will be offered at 7:30 pm. Children under 12 years of age will not be admitted. An adult only tour will be offered at 9:00 pm. Advance registration is required as space is limited. Tickets are $10/adult and $5/child. On Sunday afternoon, the Stephen Crane House in Asbury Park, NJ is pleased to host the creators of the literary journal ADANNA, in a reading of works from their latest (third) issue. The public is invited to the free event that kicks off at 1:00 pm, with Adanna founder Christine Redman-Waldeyer joined by a company of writers and academics from all over New Jersey, New York, and Pennsylvania. Refreshments will be provided, and copies of the new Adanna issue (as well as the special Sandy issue) will be offered for purchase. Spend the day at the Whippany Railway Museum and celebrate the Fall Harvest and the Season of the Witch, during the museum's 13th Annual Pumpkin Festival. The local area's highly anticipated family event will be held on Sunday from 12:30 - 5:30 pm, rain or shine. TRAIN FARE: Caboose seating: Adult: $14.00, Child (under 12): $9.00, Infants (1 year and under): Free. Club Car seating: Adult: $17.00, Child (under 12): $12.00, Infants (1 year and under): Free.Pre-order ticket online using a credit card at www.whippanyrailwaymuseum.net. The Whippany Railway Museum is located at 1 Railroad Plaza at the intersection of Route 10 West & Whippany Road in Whippany, NJ. For more information, call 973-887-8177 or visit www.whippanyrailwaymuseum.net. Step back in time to the colonial period at the Somerset County Park Commission's annual Lord Stirling 1770s Festival taking place on Sunday from 10:30 am to 4:30 pm at the Environmental Education Center, 190 Lord Stirling Road in Basking Ridge, New Jersey.